For small to mid-size business owners, the freedom of dependable wireless devices has been priced out of reach due to features and functionality that are just not necessary for basic data collection tasks. For simple point-to-point connectivity, the QuickScan Mobile reader offers security and reliability with Datalogic's STAR Cordless System. It's fast, easy to use and guaranteed Wi-Fi interference free. 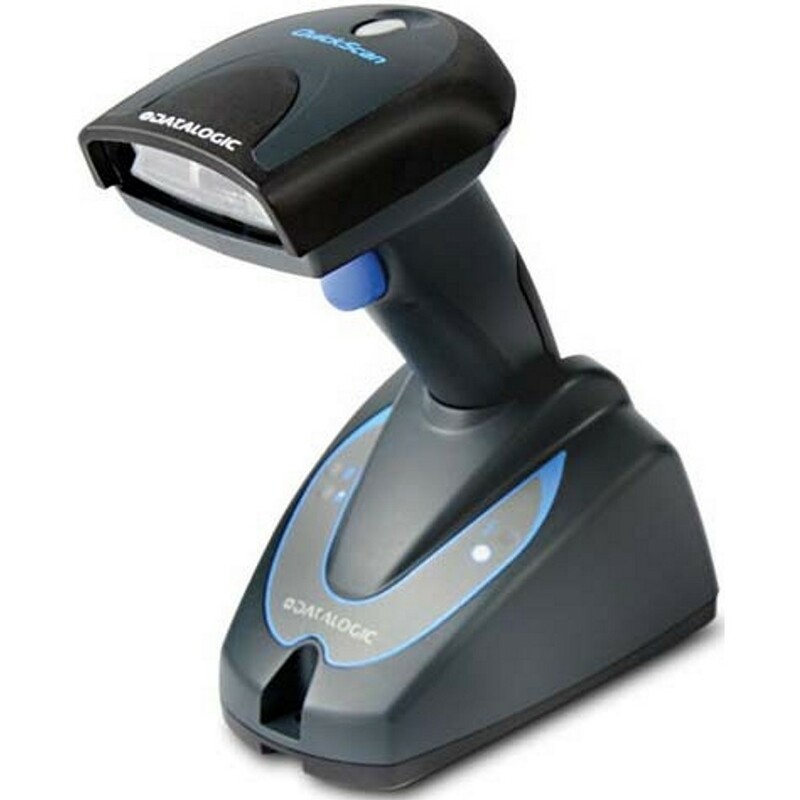 Outstanding barcode reading performance and reliability make the QuickScan Mobile reader ideal for use at the point of sale, plus this multi-purpose device can also double for inventory, price checking and shelf-replenishment activities. A 12m/40ft radio range provides a wide working area and eliminates the restraints caused by cabled devices, providing a safer and more efficient work environment. The QM2100's cradle provides hands-free reading capabilities and a scan-while-charging feature ensures constant up-time for increased productivity. Datalogic's patented Batch Mode combined with a long lasting lithium-ion battery allows for reliable data collection when out-of -range from the base station. Standard multi-interface capabilities (QM2130) provide host connectivity via USB, RS-232, Keyboard Wedge and Wand Emulation. Convenient Plug & Scan kits provide for easy installation and include everything required to get up and running quickly. DECODE CAPABILITY: 1D / Linear Codes: Autodiscriminates all standard 1D codes including GS1 DatabarTM linear codes. TYPICAL DEPTH OF FIELD: Minimum distance determined by symbol length and scan angle. AGENCY APPROVALS: The product meet necessary safety and regulatory approvals for its intended use. OPOS/JAVAPOS: JavaPOS Utilities are available for download at no charge. OPOS Utilities are available for download at no charge.